She’s 20-years old but acts like a senior citizen when it comes to sleep habits. Why? Because this competition shooter knows what it takes to win. Meet Ashley Rheuark, who shoots prestigious national shooting matches wearing GLOCK’s jersey. 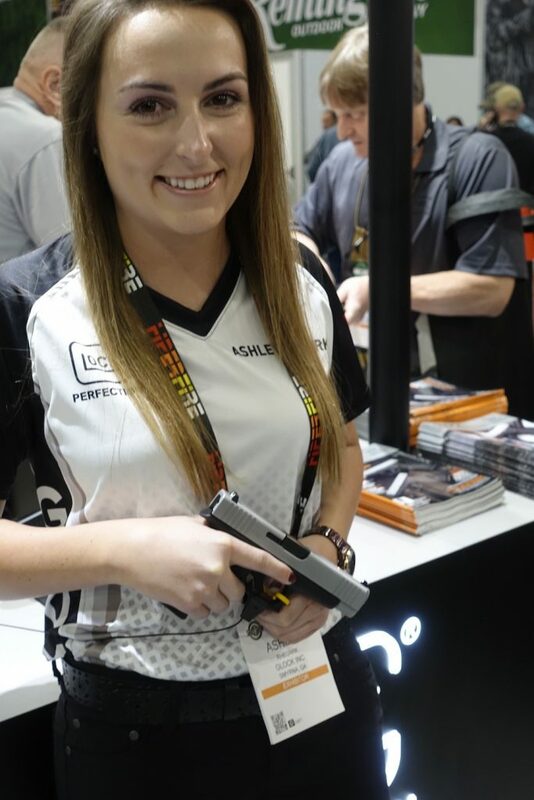 We interviewed her at the GLOCK booth at SHOT Show this year. The WON: What’s new this year? Ashley Rheuark: We’re kicking the year off here at SHOT Show. I have some shooting competitions and trips to Austria coming up. It’s going to be a fun year. The WON: What model are you shooting? Ashley Rheuark: I’m shooting the GLOCK 34. The WON: Do you ever shoot with optics on your gun? 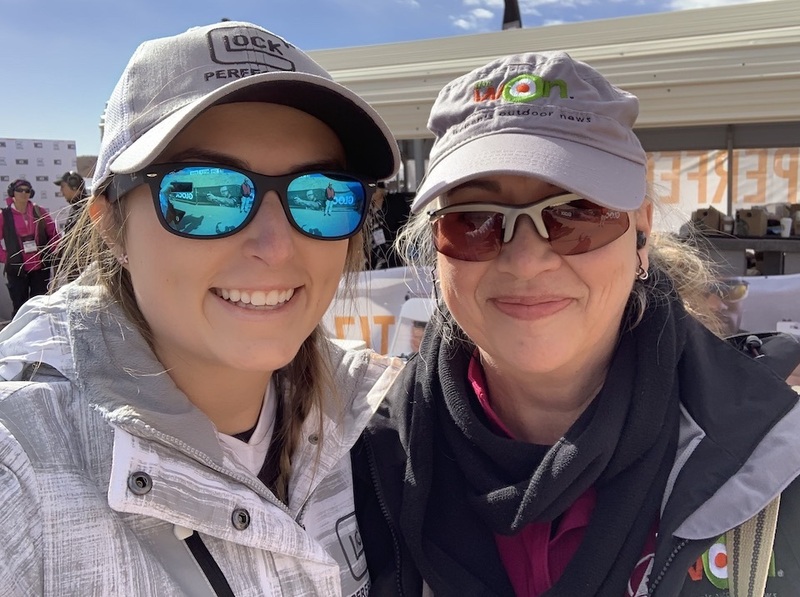 Ashley Rheuark: There’s a division in USPSA called “Carry Optics,” and I’m excited this year to do more and use a dot. The WON: What was memorable about last year’s competitions? Ashley Rheuark: The big thing last year was the 9 days of Nationals for USPSA, so we had 3 National championships back to back. It was the hardest thing I’ve had to do – mentally and physically. It was difficult, but I came out with 3 National titles. The WON: What was your secret to success at those matches? Ashley Rheuark: The secret? Lots of sleep! After I was done shooting, I’d go back to the hotel in Florida and rehydrate and take a nap. Making sure I was rested and refreshed so I could get ready for the next day was important. The WON: Dry fire. Do you do that? Ashley Rheuark: I do more live fire than anything. I like to get out, feel the recoil and the rhythm of the gun. When I’m home and on rainy days or when it’s cold outside, dry fire is a really important key to honing your techniques for reloads. It’s a great tool. The WON: Do you have an ammo sponsor? Ashley Rheuark: I use Asym Precision and Hornady ammo. The WON: Eyes and ears? What do you use for protection? Ashley Rheuark: I use Oakley shooting glasses, and I use clear or dark. If it’s clear enough for me to wear clear lenses, I’ll wear those. I wear custom-molded ear pro and a nice pair of muffs. The WON: How did you start shooting? Ashley Rheuark: I started deer hunting in South Carolina with my dad when I was 10 and he bought a GLOCK when I was around 12 or 13. Because I’d always gone hunting with him, I was so interested in that new gun. I’m so thankful that my dad took me to someone that taught me to shoot. He and I jumped into local competitions. He is my cheerleader and my coach. I’ll send him videos and he’ll nitpick them and suggest ways I can improve. The WON: Where do you see yourself in the industry when your competition days are over? Ashley Rheuark: I love the shooting and I like being involved in the technical side of things. I’ve seen myself grow with GLOCK and I am so grateful. The WON: How many matches do you shoot a year? Ashley Rheuark: Including my pistol competitions and 3-gun, it’s probably around 25 matches. The WON: Are you superstitious regarding shooting? Ashley Rheuark: For a mental calming, I like to wear fun socks, like maybe a Star Wars pair of socks. It just reminds me to have fun and to relax and have a good time. The WON: Have you shot the new models, the 43X and 48? Ashley Rheuark: I just got my hands on them yesterday (Range Day before the SHOT Show) for the first time. All the women that I talked to at the range said the guns were fantastic. The 48 is perfect for concealed carry, and the 43X is even smaller, so that’s great. The WON: Do you have any advice for women who might be interested in in learning to shoot? Ashley Rheuark: If you are interested in guns, come out and try it. People in this industry are some of the nicest I’ve ever met, and they are going to help you. Just get out and try it. … That’s a big thing – education – when people are educated, they will feel more comfortable about firearms. Visit Ashley’s social media outlets on Facebook and Instagram. Check out the line of guns from GLOCK that Ashley mentions.